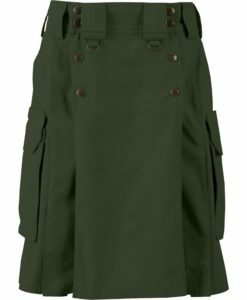 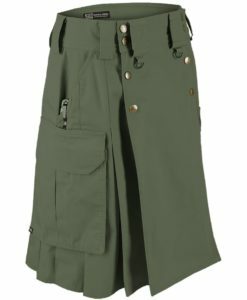 Tactical Duty Kilt for Men designed to for active men. 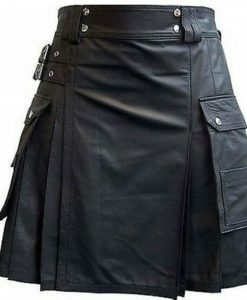 It is a perfect for rough and tough use. 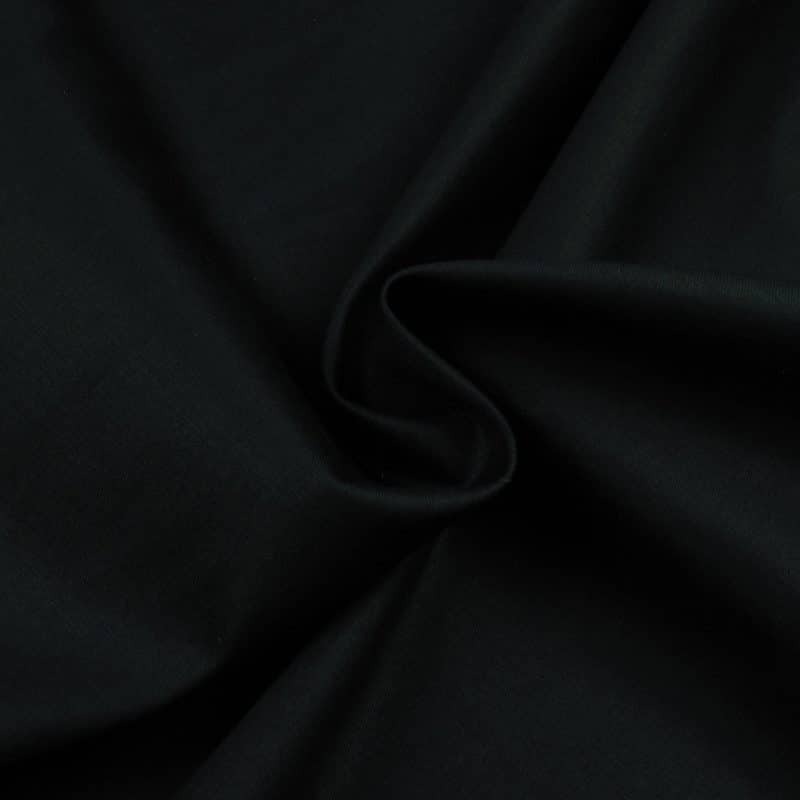 Made up of cotton blend which gives it tough look but remains breathable at the same time. 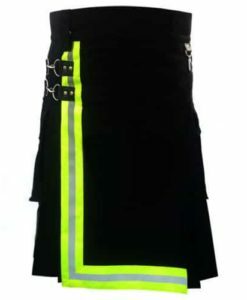 For more rigid use, it features triple stitching for durability. Cargo style pockets with hidden small pockets which may help you to store multiple magazines. 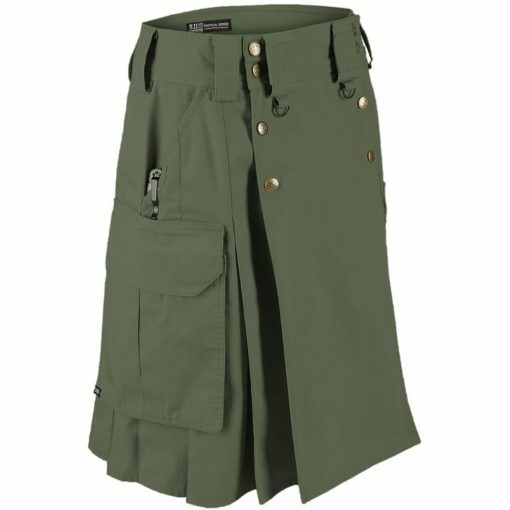 It also features belt loops sized for a 1.75” which will help you wear standard tactical belt loop. 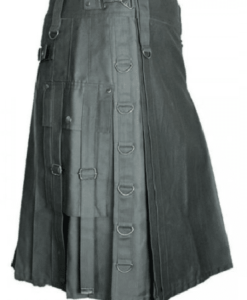 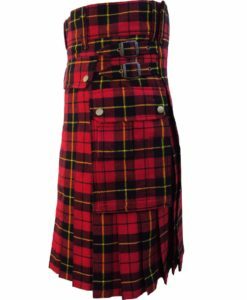 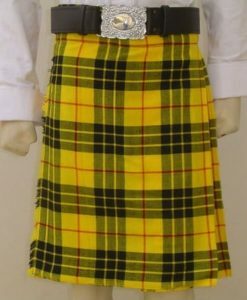 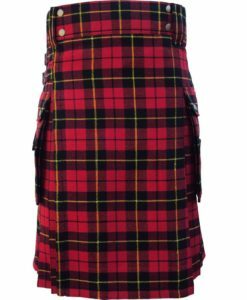 You can definitely expect really rough and tough use from this kilt. 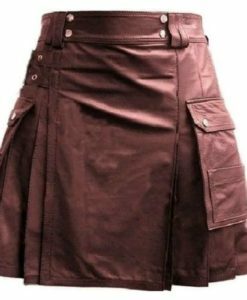 Made up of Cotton Blend which gives it tough look. 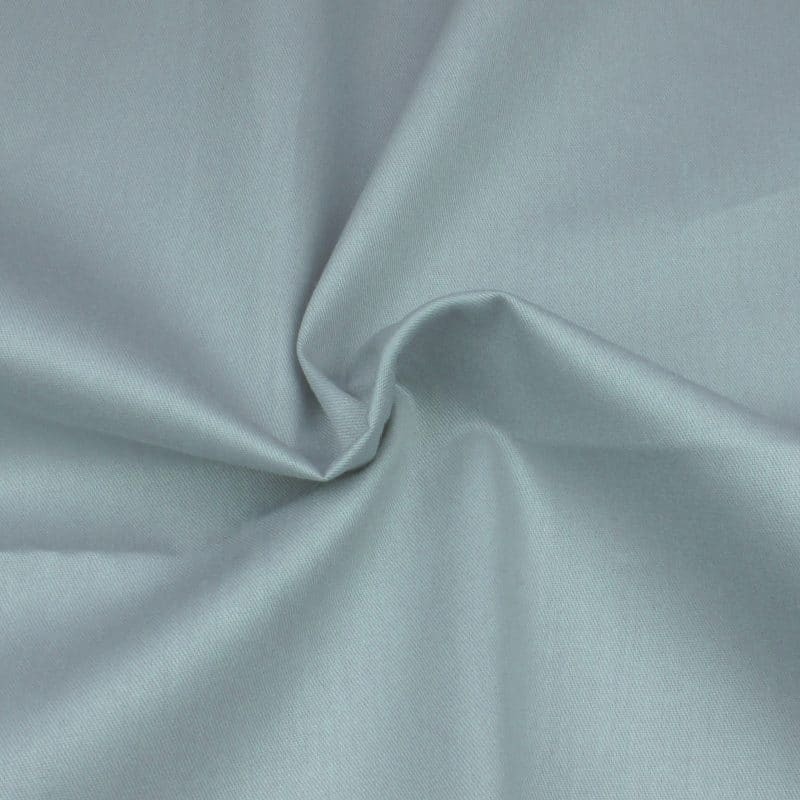 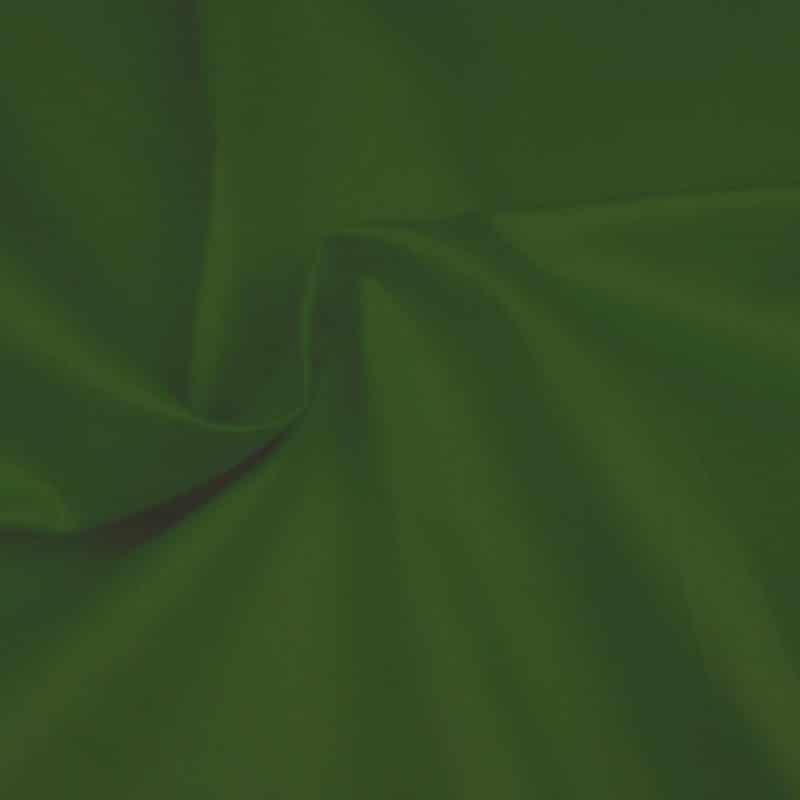 Breathable fabric which is perfect for you if you sweat! 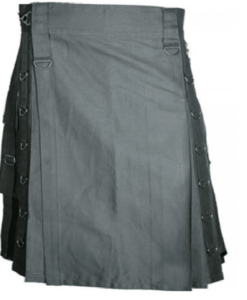 Triple stitching for long durability. 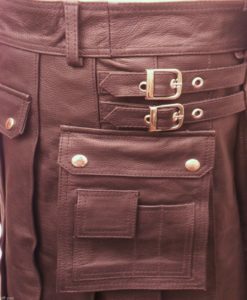 Cargo pockets to hold your magazines. 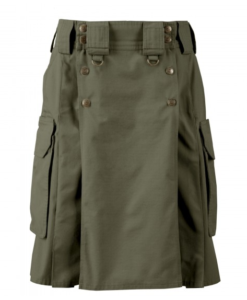 1.75” inches Belt loop which can easily hold any tactical belt. 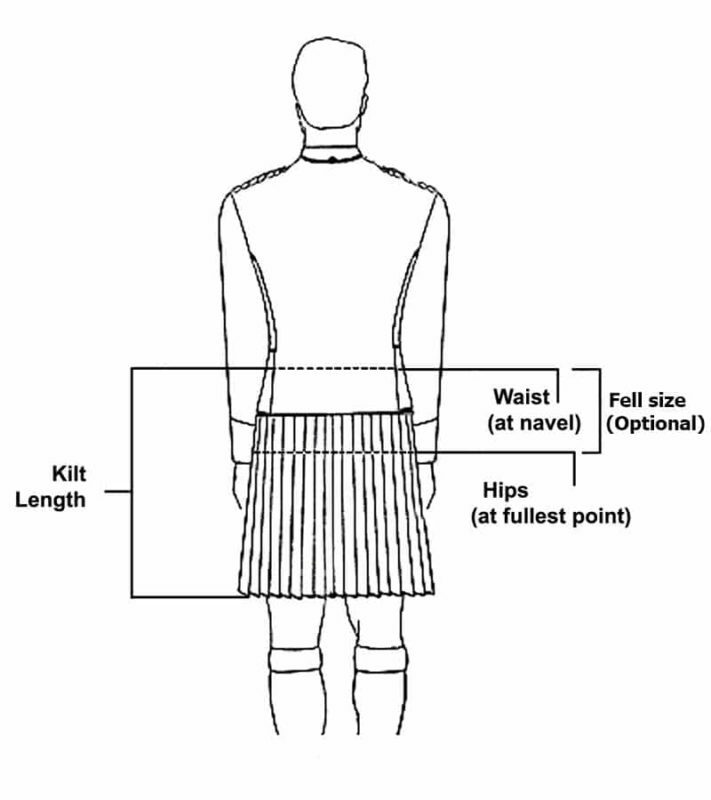 How Tactical Kilt is Different from Utility Kilt? 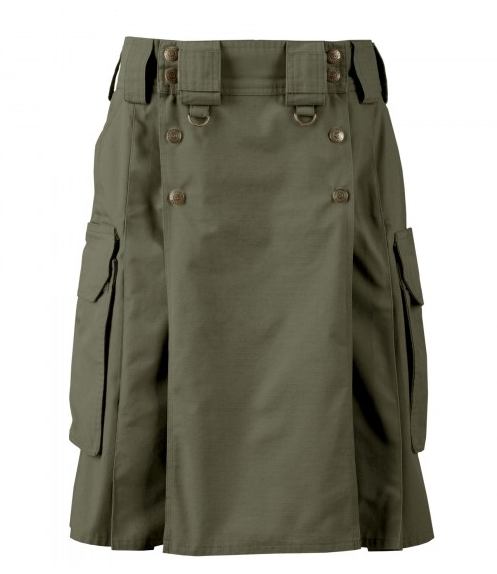 Tactical Kilt is another form of Utility Kilt but more rigid and tough use. 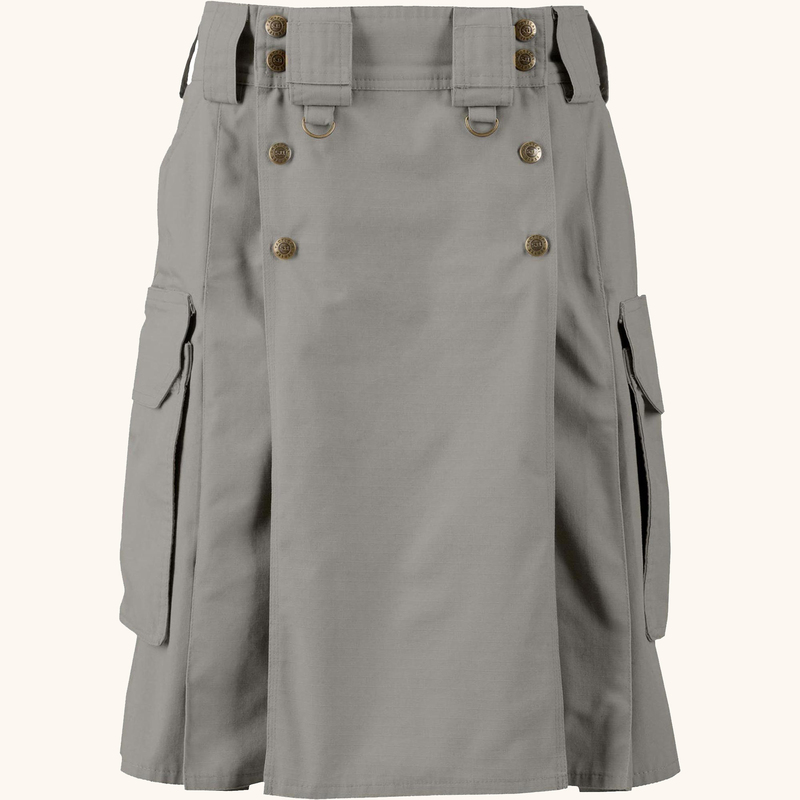 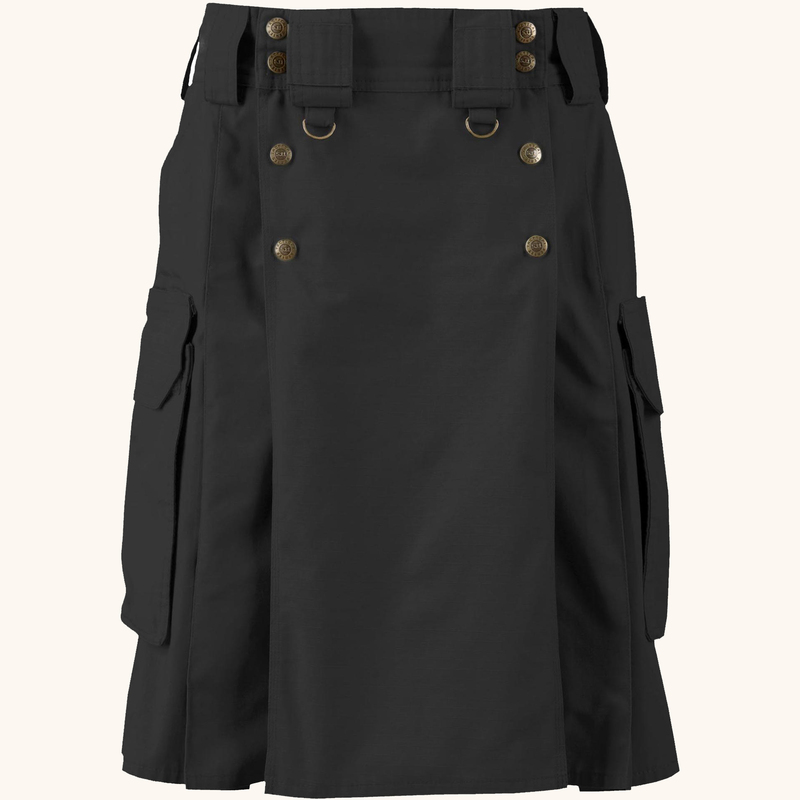 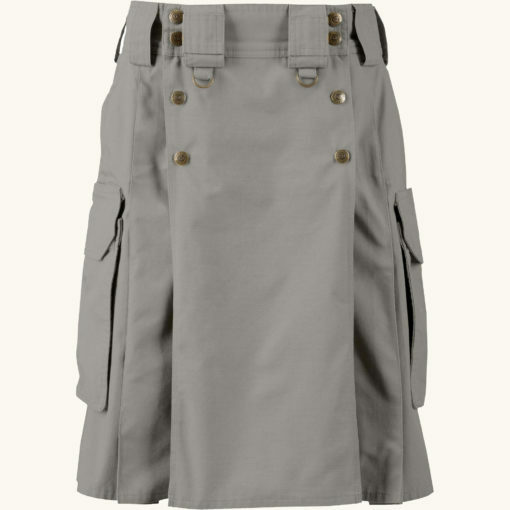 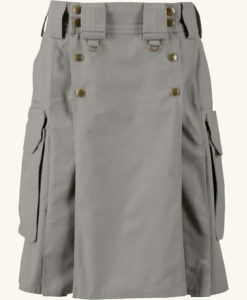 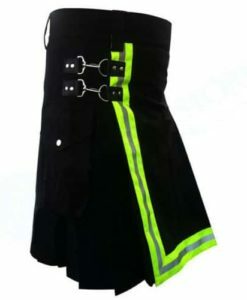 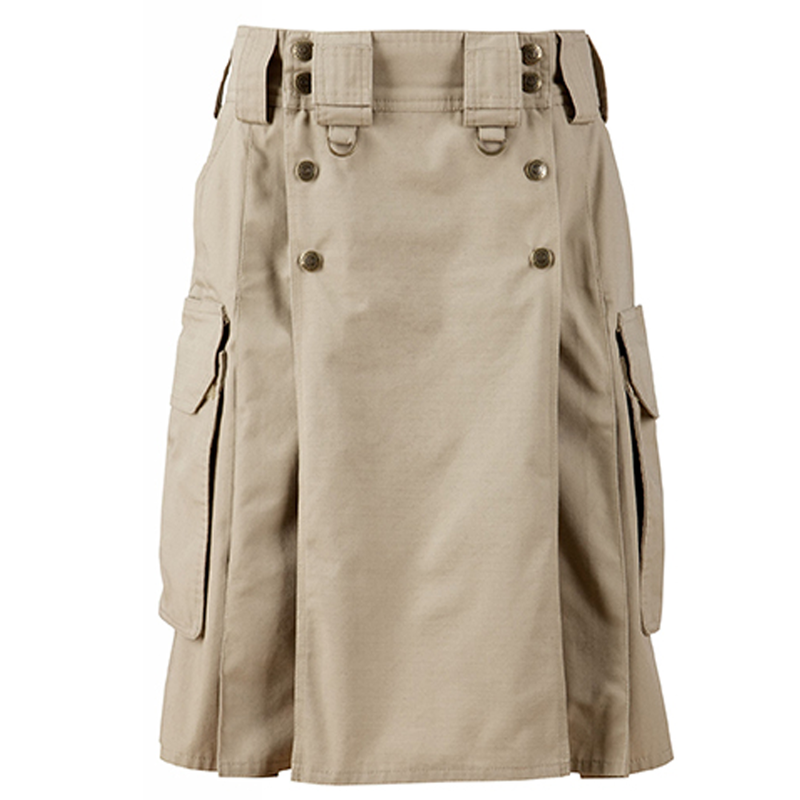 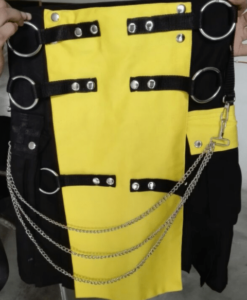 There are more big pockets on Tactical kilt as compare to Utility kilt and these pockets are designed to hold magazines. 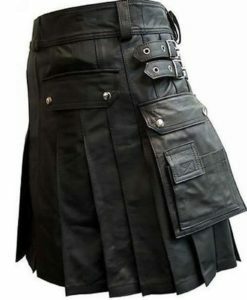 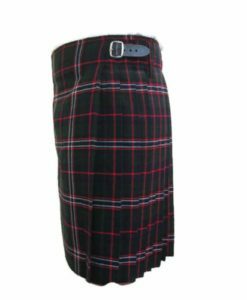 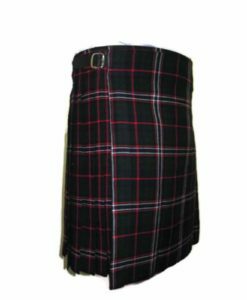 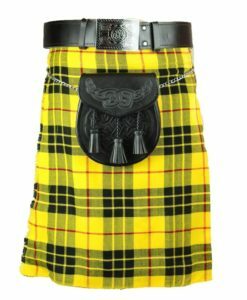 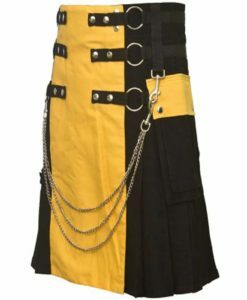 It is a most durable and amazing kilt which you must opt if you are a kind of rough and tough person.